After a distinguished amateur career, Sean turned professional in 1979. 1979: Senior Assistant: Twickenham Golf Club, Middlesex. 1984: Professional/Manager: Richmond Golf Range,Surrey. 1992: Head Professional: Docklands Golf Range, London E14. 1994: Head Professional: Foyle International Golf Club: Ireland. 1996: Director of Teaching: Terry Gingell Golf Schools, Carson City, Nevada. 1998: Proprietor/Director of golf: The City of London Golf School, London EC2. 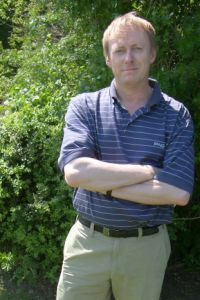 2005: Head Teaching Professional: Holland Park Golf School.